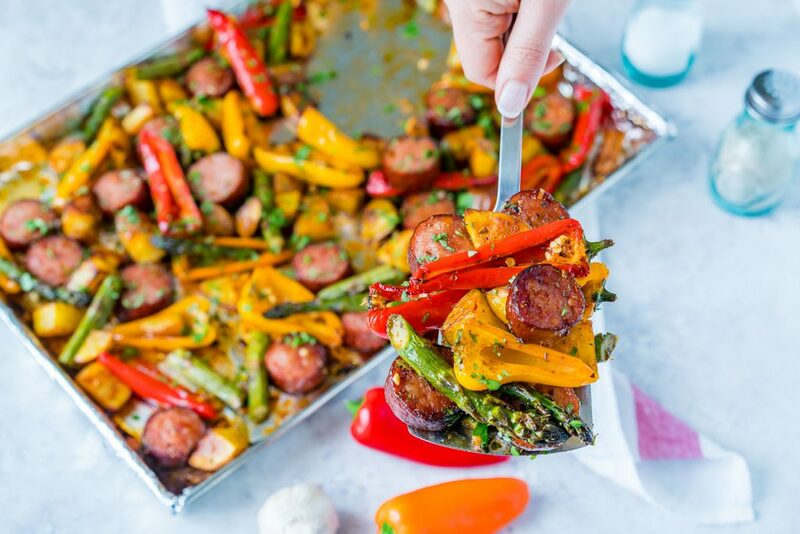 One Pan Honey Garlic Sausage + Veggies for Dinner in a Hurry! 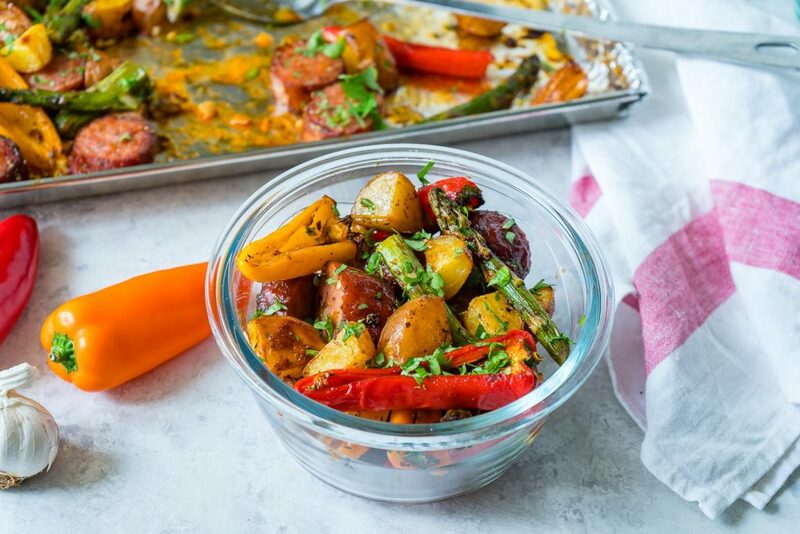 Line a large sheet pan with aluminium foil or parchment paper. 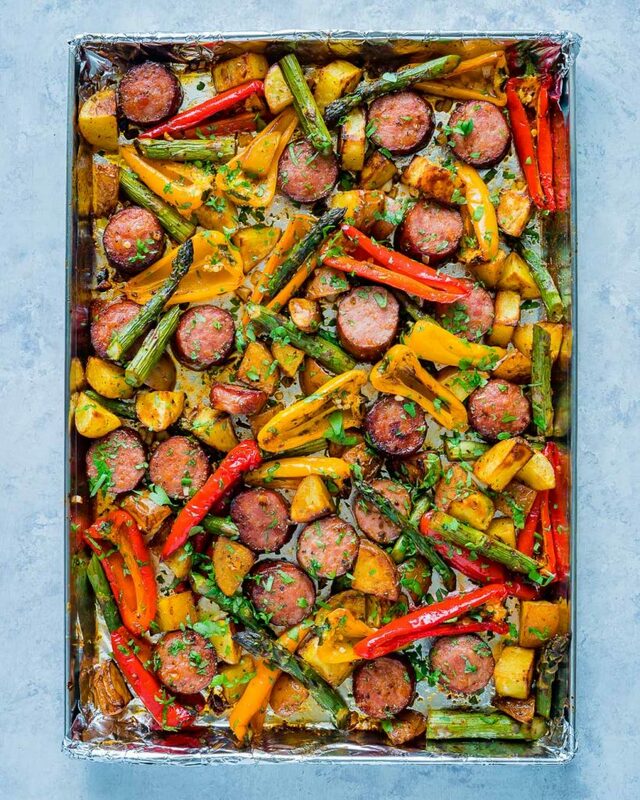 Place all the veggies and sausage in a large bowl. Pour in the oil, honey, add in garlic and seasonings. Toss to evenly coat everything. 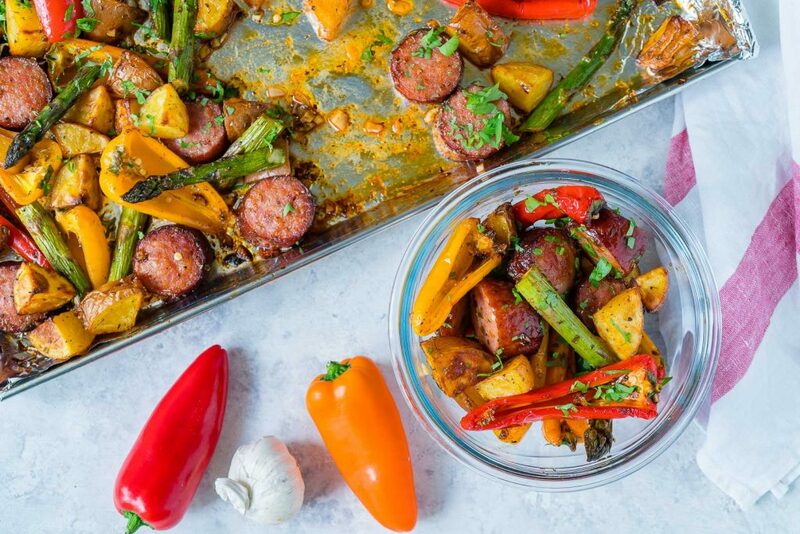 Arrange the veggies and sausage in a single layer on the sheet pan. 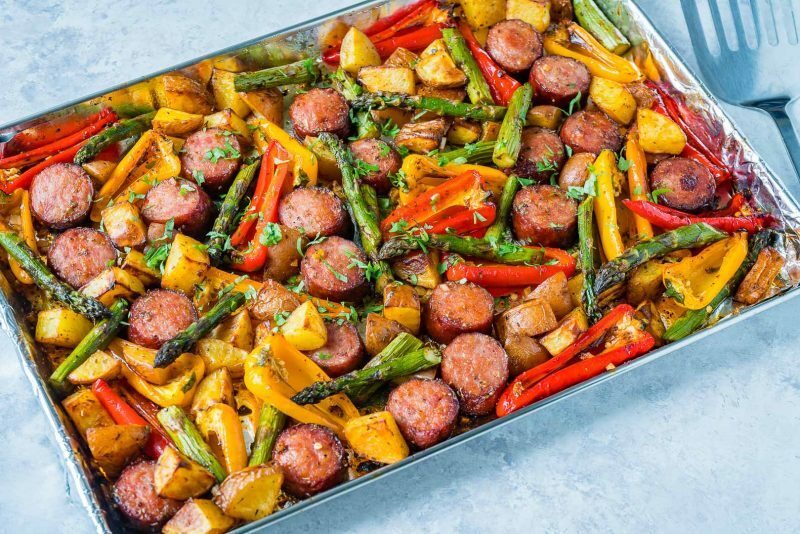 Bake for about 20 minutes, or until vegetables are crisp tender and sausage is browned.